Many Shore residents and homeowners have wondered how the barrier island’s newly-replenished beaches would handle a nor’easter – would the sand stick around or be washed out to sea? An entire week after the season’s first coastal storm, the tide has receded and the sand began returning back to normal, producing a good representation of how the area fared. Along the beachfront, there was still debris left from the storm (as well as winds that guested to more than 40 m.p.h. on Saturday) but the sand was wet, but intact. 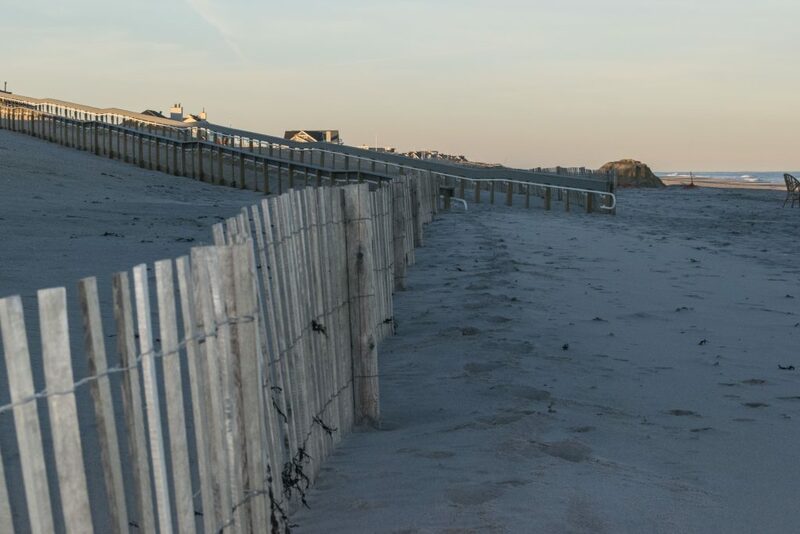 It is important to note that the dunes themselves – which were not visibly impacted at all by the storm – are not yet anchored down by vegetation, the key to shoring up the barrier that protects in the integrity of the island. Overall, Brick fared well in the storm and its aftermath. The berm of the beach – the swath of sand where sun-worshipers set up their chairs – generally remained where it was before the storm struck, and some of the tide pools seen in Ortley Beach after the nor’easter didn’t form at Brick Beach III or Brick Beach I. The dunes themselves were completely solid and there did not appear to be any erosion. During presentations given by the state Department of Environmental Protection and U.S. Army Corps of Engineers, officials have said the berm will find a natural balance and be reduced in size over time. But the engineered dunes will remain intact and the sand that is lost won’t go far. Indeed, one of the goals of the project is to have sand form an invisible bar slightly offshore from the beach which will absorb wave energy and weaken the flow of water on the beachfront. In other words, some of the sand is meant to be taken out to sea – and that’s a good thing. 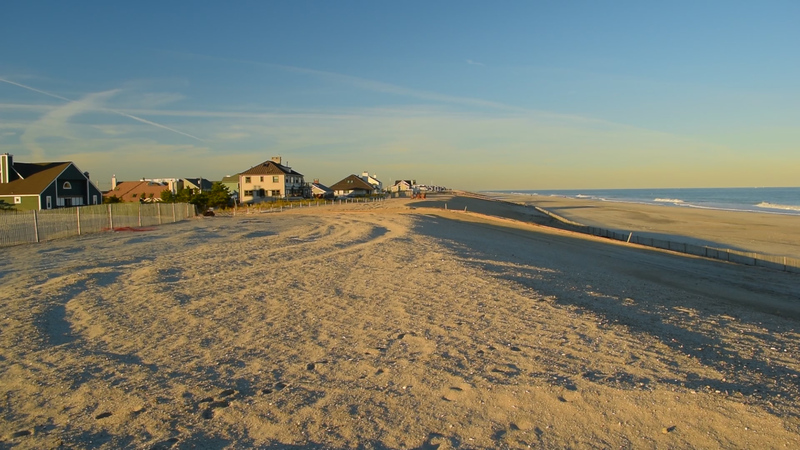 Brick Township’s portion of the island-wide beach replenishment project is now completed. Currently, the hopper dredge RN Weeks is conducting dredging and beachfill operations in northern Mantoloking, while the hopper dredge BE Lindholm is scheduled to return early November to speed up that portion of the project. The Lyman Avenue beach access site is closed. The hopper dredge Magdalenis currently working on Toms River’s north beaches (the area that includes Toms River’s portion of Normandy Beach, plus Ocean Beach, Silver Beach and Chadwick Beach). Beach access is closed at E. Atlantic Way, Pacific Way, Surf Way, Spray Way, Barnegat Way, S. Surf Road, N. Surf Road, E. Colony Way, Boatmans Road,, Silver Beach Road, Fishermans Road. Ortley Beach is also currently receiving replenishment between 5th and 2nd avenues (south to north). Replenishment in Seaside Park is on hold as the dredge boat CR McCaskill is finishing another job in New York.